A soft Alaskan sunset with the full moon out. It was my good fortune to be at the right place at exactly the right time. 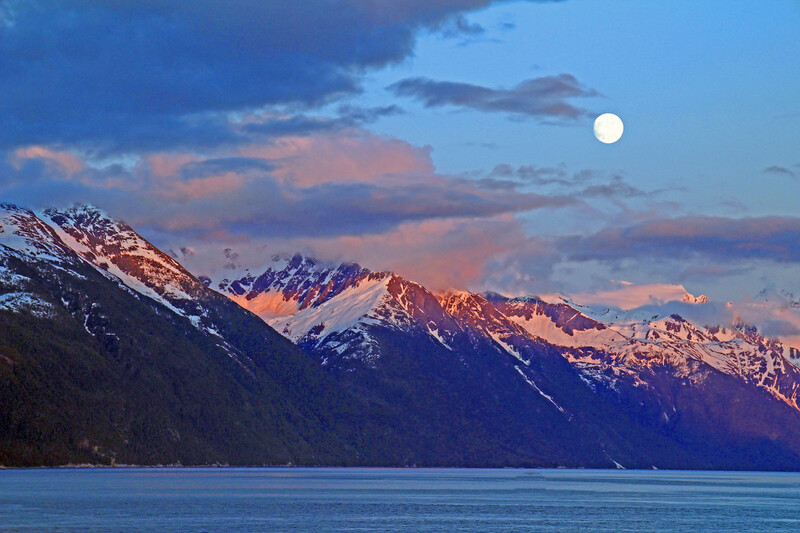 I was able to shoot an Alaskan sunset on the snowy mountains at the same time as a full moon shown brightly.